Miami-Dade Transit is one of the largest transit systems in the country. Many local and out-of-town tourists use the Metrorail trains and Metrobus vehicles to visit local attractions, commute to work, or just get from Point A to Point B. Unfortunately, public transportation is not immune from serious accidents. In fact, hundreds of accidents in Florida involve mass transit vehicles each year, according to the Florida Department of Transportation. An accident involving public transport like a Metrobus could be caused by a myriad of issues. For example, driver distraction or driver fatigue are common causes of serious mass transit accidents. There may also be defective vehicle equipment or improper maintenance that contributed to the collision. When a large Metrobus collides with a smaller sedan, pickup truck, or SUV, the damage to the smaller vehicle can be quite severe. The occupants of the smaller vehicle usually bear the brunt of the damage, in addition to the occupants on the Metrobus. This means the level of economic damages that could be recovered by accident victims is typically much higher in mass transit accident cases. Another important difference between mass transit accidents and a fender-bender is that operators of common carrier vehicles require specialized training and licensing to operate these vehicles on public roads and highways. For example, Metrobus drivers require a commercial driver’s license to legally operate the vehicle. When someone is seriously injured or dies while utilizing mass transit, speaking to an experienced Miami mass transit accident attorney is critically important. You need someone who understands which government entities are potentially liable. 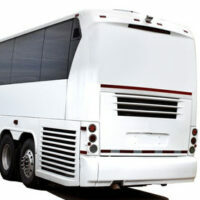 In public transport accident cases, there is potential liability on the city, county, or state, along with the operator of the mass-transit vehicle. The state or local government could be held responsible for failing to properly train or supervise their employees or for improperly maintaining the mass transit vehicles. However, it’s important o retain an attorney who will have an understanding of the time limits for bringing a personal injury or wrongful death lawsuit, the ability to collect evidence and investigate the accidents, and the skills to persuade a jury that you should be awarded a significant sum for your harms and losses. For example, the statute of limitations for a personal injury claim in Florida is four years from the date of the accident. However, if the claim is against a city, county or state government, the statutory time limit is only three years (and there are specific notice requirements that must be satisfied for a claim to go forward). If that wasn’t bad enough, the statute of limitations for a wrongful death claim is limited to two years from the date of the accident. Consulting with a lawyer is especially critical for families of passengers who lost their lives in mass-transit accidents. Wrongful death claims are governed by a specific state statute and there are unique provisions that must be complied with in order to successfully bring a wrongful death claim in a Florida court. As you can see, the law surrounding public transportation accidents can get quite complex. That is why you should contact Alan Goldfarb, P.A. to learn about your legal options. The firm has extensive and successful experience in personal injury law in Miami.